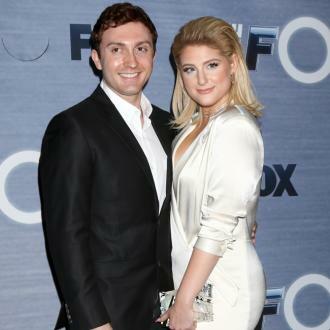 Meghan Trainor wants a backyard wedding when she ties the knot with her fiancé Daryl Sabara. Meghan Trainor wants a backyard wedding. The 'All About That Bass' hitmaker can't wait until she ties the knot with her fiancé Daryl Sabara but would be happy holding the wedding in her back garden. And Daryl is happy to let Meghan take the lead when it comes to wedding planning. Meanwhile, Meghan previously confessed she wants to ''lock'' her fiancé down as soon as she can. The 24-year-old singer previously admitted she knew she wanted to spend the rest of her life with her fiancé from ''week one'' of their relationship. And Meghan has never loved ''any other human'' as much as she loves Daryl, and enjoys spending every day with him.